Ween’s hard-earned reputation as pop music’s most scathing satirists was all but etched in stone by the turn of the century. But by the time of White Pepper’s release in 2000, the gonzo humor that all but clubbed fans over the head on records like Pure Guava and The Pod had started to cool a bit. That’s not to say it went away. Instead, it took a subtler tone that was harder to discern on the surface. 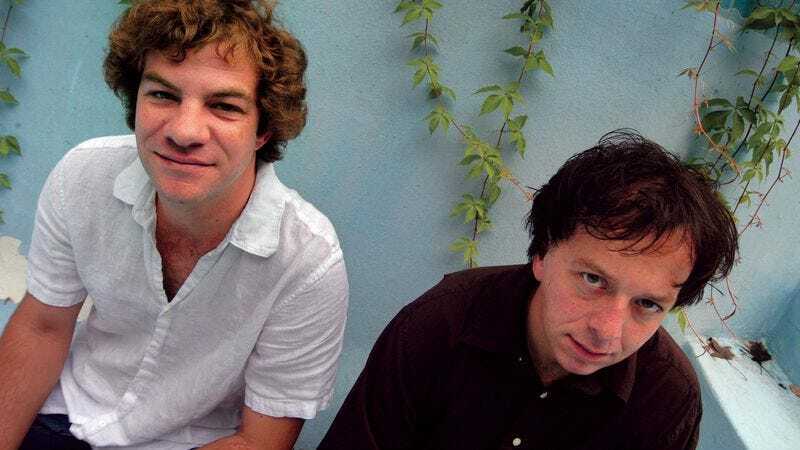 White Pepper is, by any measure, Dean and Gene Ween’s most accessible and pop-oriented offering, and it also lays claim to one of the most pristine moments in the duo’s career. Beneath the bratty absurdity, Ween has always been made up of pretty good songwriters, and its ear for pop songcraft has never been laid barer than on “She’s Your Baby.” Gene’s hushed vocal delivery, coupled with a gentle acoustic guitar, delicate strings, and brushstroke drums, makes for one of the most disarming songs in the band’s voluminous catalog, and also one of its most painstakingly beautiful. Of course, it wouldn’t be a Ween song without giving listeners something to rack their brains about. Pretty as the song might be, the lyrics of “She’s Your Baby” leave a lot up to the imagination. The song’s scattered references to Franz Kafka, devils dying with laughter, and bunnies in cans don’t give listeners much of a roadmap to follow, but that hasn’t stopped them from taking their best shot. Some have suggested it’s about a relationship in flux. Others suggest it’s a free associative meditation on what brings two people together. Still others have taken the more direct route of reading the song as a valentine to Gene’s daughter. But 13 years later, no one quite knows for sure. As it is, the song stands as one of the pop pranksters’ most subdued mindfucks, and with all due respect to “Push Th’ Little Daisies,” it might also be Ween’s very best.